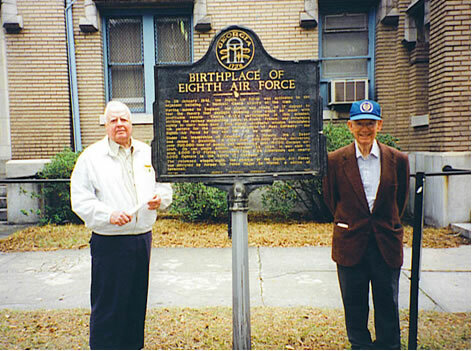 Frank D. Murphy formerly Captain & Navigator on Crew #31, 426th BS, 100th BG (Left) and John J. O’Neil formerly Staff Sergeant, Tail and Waist Gunner 813th BS, 482nd BG visit the Birthplace of the Mighty 8th Air Force in Savannah, GA in 2002. Together they flew one more mission of the Mighty 8th. This site was developed in loving memory as a tribute to two 8th Army Air Force Combat Veterans. My father Staff Sergeant John J. O'Neil and our dear family friend Captain Frank D. Murphy. 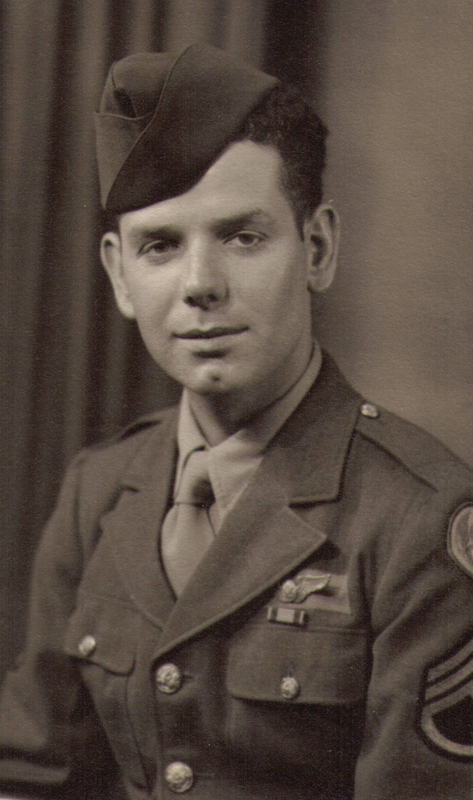 John J. O’Neil, 482nd Bomb Group (P), 813th Bomb Squadron, Station #102, Alconbury, Huntingdonshire, England 1943-1945. Frank D. Murphy was the Navigator on Crew #31 of the 418th Bomb Squadron, 100th Bomb Group (H) Station #139 Thorpe Abbotts, Norfolk, England 1943. Words will never be able to describe the profound impact these two individuals have had on my life. It is in there honor that this website is presented. John J. O'Neil was the right waist gunner on the first B-17 over Berlin on March 4, 1944. He later founded FNP Military Press and co-wrote, along with two of his fellow B-17 crewmates Marshall Thixton and George Moffat the book "Bombs Away by Pathfinders of the Eigth Air Force" The book tells the "top secret" story of the 482nd Bomb Group and the Untied States early use of radar equipped B-17 and B-24 bombers in the Daylight Strategic Bombing Campaign against Nazi Germany during WWII. "Flying One More Mission Together for the Mighty Eighth"